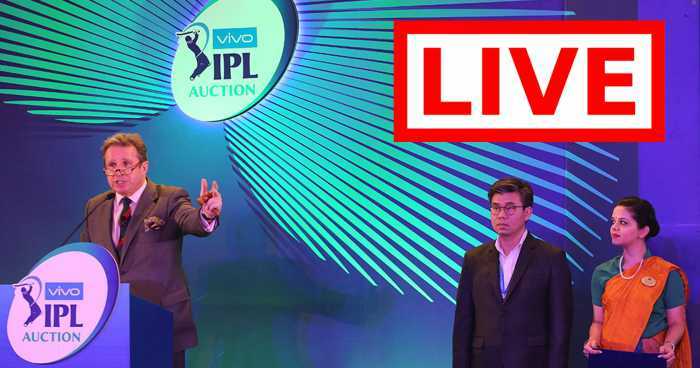 Welcome to the live coverage of the 2nd day of the IPL 2018 Auction. The first day concluded with 110 players’ under the hammer out of which 78 were sold and 32 were unsold. The day was mostly for the high bidding. The target was to auction for 180 players but due to the interest of franchises in players, 110 were only completed. Ben Stokes became the expensive player, who was bought by Rajasthan Royals for Rs. 12.crores. KL Rahul and Manish Panday became the most expensive Indian players. Manish Pandey was bought by Sunrisers Hyderabad and KL Rahul was bought by Kings XI Punjab. On the other hand, Chris Gayle, Lasith Malinga, Joe Root and Parthiv Patel Remain unsold. Out of 78, 49 Indians players were sold. The most interesting was to see was that out of 49, 25 were uncapped Indian players. 29 International players were bought.